Great opportunity to own this move in ready Latta Pavillion Condo. Fresh paint throughout, with all the entertaining spaces on the main floor. Kitchen with granite counters open to the bright living and dining space. This unit has a private entrance facing Scott Avenue. One dedicated, secure parking space and a storage unit. 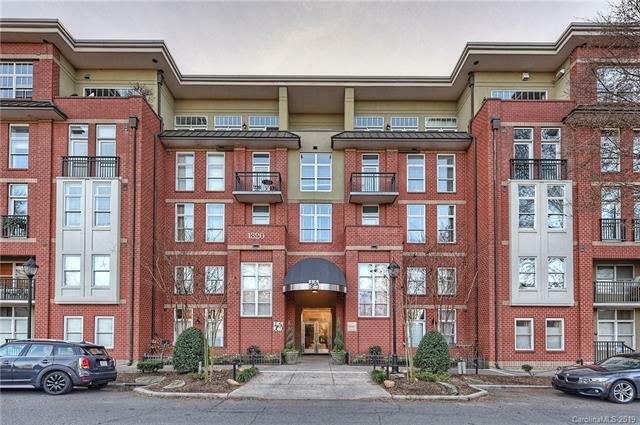 Located in the heart of Dilworth, everything you need is within easy walking distance. Enjoy the rooftop terrace with grill and onsite gym. Storage Unit #59 on P-1, Assigned Parking #32 on P-2.